MANCHESTER (Sporting Alert) — Manchester City have no plans of getting rid of manager Manuel Pellegrini at the end of the season, despite reports which suggested the Chilean would be axed. The Citizens’ season haven’t gone the way they had planned after failing to defend their English Premier League title and getting dumped from the Champions League in the round of 16 again. 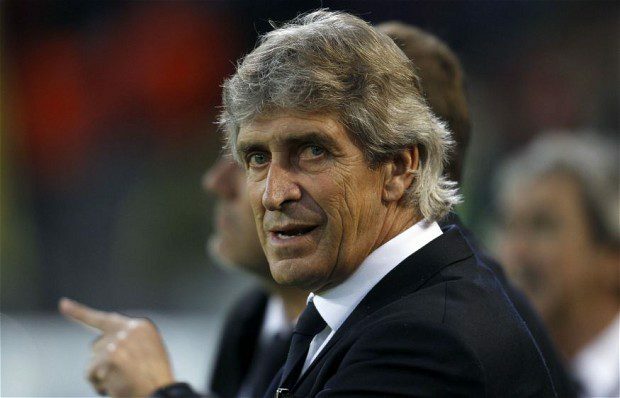 Reports had suggested that Pellegrini’s time at the club was nearing the end, but sources close to the EPL side are saying Manchester City have no plans to get rid of the 61-year-old. In fact, Pellegrini has already been making plans about who he wants to bring to the club when the next transfer window opens in the summer, and there are some big names on his list. The likes of Gareth Bale and Paul Pogba are both on the list and he hopes to secure those signatures in his an attempt to win back their Premier League title from Chelsea. Ongoing Media reports have been linking former Barcelona and current Bayern Munich manager Pep Guardiola with a switch to the Etihad Stadium, with some of the reports even suggesting that he had agreed to personal terms. Guardiola, who has won five titles since taking over the club two summers ago, denied the circulation. The German champions have also backed the club boss, adding that they would love for him to stay beyond his current deal, which runs out in 2016. “He knows my opinion: I want him to stay,” Bayern Munich chairman Karl-Heinz Rummenigge told Sueddeutsche Zeitung. “If at some point he says ‘I’m going to do something new’, there will be at least 15 top clubs forming a queue. The club was hoping to challenge for the Champions League crown this season, but was eliminated in the semi-finals by Guardiola’s former club, Barcelona. The 44-year-old has been strongly criticized for the way his team got dumped from the European competition, but it’s clear the chiefs have already moved on and are ready to give him another chance.